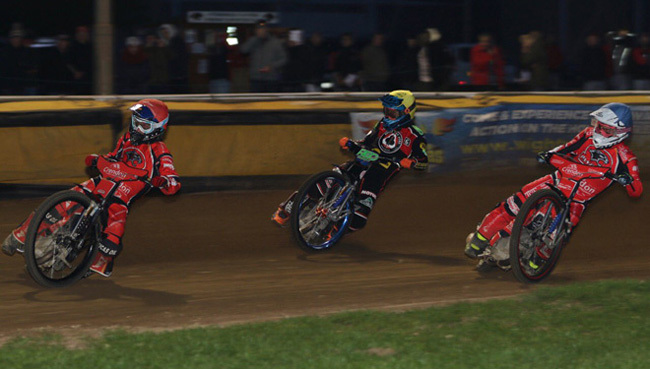 PETERBOROUGH’S late fightback proved in vain as Belle Vue took the honours with a 48-42 win at the East of England Arena on Monday. 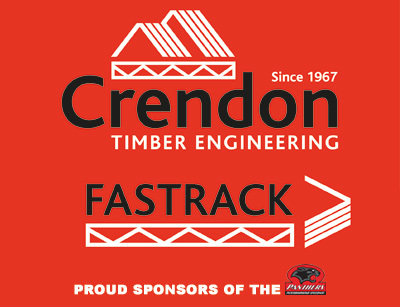 The Aces became the first-ever winners of a Premiership Supporters’ Cup match – although in the race where the line-up was nominated by fans via Twitter, the Crendon Panthers took a 5-1! Ultimately, though, the home side had no answer to their former No.1 Kenneth Bjerre, who roared to a 15-point maximum, and super Aussie Max Fricke who was also unbeaten by an opponent from five rides. And the form of reserves Jaimon Lidsey and Dimitri Berge early in the meeting gave the Aces enough of a cushion to defend. Fricke smashed the track record in Heat 1, lowering the mark to 57.9, and he was largely untroubled in a display of fast gating, whilst Bjerre showed his track knowledge to come from the back on more than one occasion. For Panthers, there was an excellent debut from Charles Wright, who teamed up with skipper Hans Andersen for a 5-1 over the thrusting Berge in Heat 9, and was also involved in the Heat 14 maximum with Bradley Wilson-Dean. Late-signing Aaron Summers also put in an encouraging performance, including becoming Panthers’ first winner in Heat 4 when he got the better of Lidsey, but Lasse Bjerre endured a night of mechanical misery, stopping from scoring positions in his first two rides. Fricke’s biggest challenge came from Andersen in Heat 5 and the two nearly tangled on turn four with Fricke recovering quickly move back inside Wright who had briefly taken advantage, whilst Andersen salvaged third place from Steve Worrall. The rapid Bjerre stormed inside Wilson-Dean to win Heat 7, and a 5-1 from Lidsey and Worrall in Heat 8 gave the Aces an eight-point lead. Panthers immediately cut that to four and could have made further progress but for Bjerre passing Tungate in an excellent Heat 10 scrap, and then Worrall snatched third place from Wilson-Dean on the last bend of Heat 11, almost getting up to Ben Barker on the line. Bjerre and Fricke won the next two races before the supporter-nominated Heat 14 resulted in a 5-1 for Panthers to narrow the gap to two points. But with the Aces having their top two still available for nomination in the decider, there was a certain air of inevitability about their Heat 15 maximum to secure victory. Panthers boss Carl Johnson said: “Result-wise it was a disappointment, but looking at the night itself it was a success for us. “We had a good crowd and some cracking racing on a superb race-track, but obviously the result didn’t go our way. “We’re three points under the points limit, but there’s room to improve and looking forward I think we’ve got the start of a good side. “Aaron has had some good scores around here so I’m not worried about bringing him in, and being at reserve gives him a few extra rides if we need it. “Unfortunately Lasse was off the boil with bike troubles, but I’d rather him have them now rather than once we get into the league season. That hurt the team tonight and he’s disappointed, and he’s looking into it.